Eighties icon David Hasselhoff is asking for a little help from his fans. The former Baywatch star and America’s Got Talent judge has launched a campaign via PledgeMusic to fan-fund an ’80s tribute album under the working title Hoff’s Hits of the ’80s. 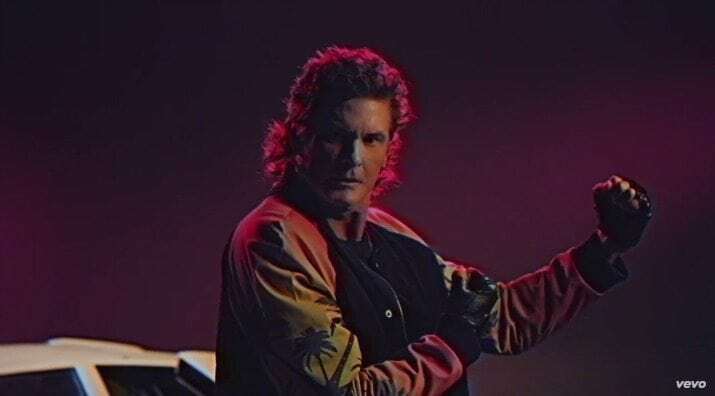 According to a letter written by Hasselhoff on his PledgeMusic campaign page, the album will be a compilation of cover songs, as well as ’80s-style new and original tracks. The idea for the album comes on the heels of the April 2015 release of “True Survivor,” the theme song to the crowdfunded film “Kung Fury” directed by David F. Sandberg. “Kung Fury” is an ’80s stylized short film about a Miami Police Department detective and martial artist that travels from the 1980s to World World II to kill Adolf Hilter. Through the PledgeMusic campaign, fans can pre-order the album, among other rewards. The campaign, which is geared more toward Hasselhoff’s European fan base, offers fans several unique opportunities. In addition to digital downloads and signed copies of the CD, pledgers can receive a personal Skype call with “The Hoff,” have their ’80s-inspired photo in the CD’s fold-out poster, or even receive a VIP meet and greet. Hasselhoff is also offering his professional opinion and a chance to have a song included on the album. For only $90, songwriters can submit ’80s-style songs. In addition to the CD’s digital download, song submitters will get detailed feedback from Hasselhoff and his team of experts. The best four tracks will be published and released on Hoff’s Hits of the ’80s. Hasselhoff came to fame in the ’80s as the star of the hit television series “Knight Rider.” In 1989, Hasselhoff became a chart-topper in Germany when his single “Looking for Freedom” hit No. 1 in the German music charts. In 2007, Hasselhoff achieved viral stardom when a home video clip recorded by his daughter surfaced of a highly intoxicated and shirtless Hasselhoff trying to eat a cheeseburger in a Las Vegas hotel room. Hasselhoff is currently wowing audiences in the United Kingdom in the touring musical Last Night a DJ Saved My Life. Hasselhoff plays a charismatic and party-going DJ/nightclub owner on the isle of Ibiza in the 1990s. The campaign, which was launched on Dec. 1, has only raised nine percent of its current goal and is currently backed by less than 150 pledgers. Fans wanting to donate to Hasselhoff’s cause have just over two months to pledge before the campaign closes. Kat Horton is a former radio promotions director and radio DJ, that has spent the majority of her life writing about the music she loves. She is the owner and founder of Street Roots Management that specializes in street team coordination for bands and music festivals like Twiddle, Aqueous, Bumpin Uglies, Night Lights Music Festival, Levitate Music Festival and more. Kat began writing about the Western New York Jam scene in 2014 with her blog "BetrippinBuffalo". 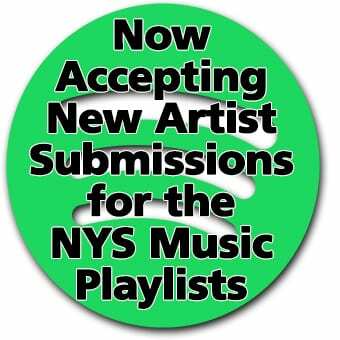 She joined the NYS Music staff in 2015 and handles light news duties as well as album reviews and show coverage for events in the greater WNY area.